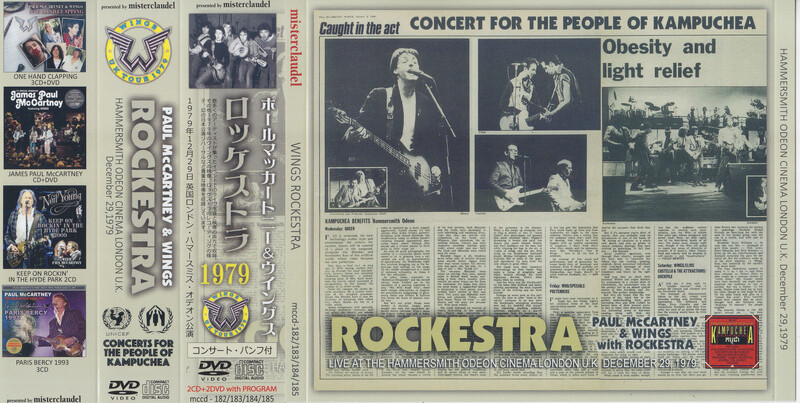 ■ December 29, 1979 Hammersmith complete recording high quality sound performance. Mania necessity essential M Claudel · label is a luxury set of sound source + video + tour · program of Cambodian refugee relief concert conducted in 1979. 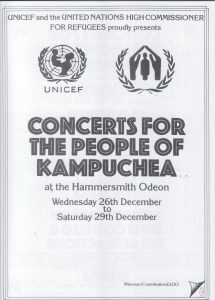 The charity concert at the end of 1979 was a topic at the time when Queen, Crash, THE WHO, Elvis Costello etc appeared in Hammersmith Odeon for 4 days in London. Among them, Wings appeared on the last day on 29th as a wonderful, performed a full concert for more than 2 hours, and in the end it was a member of THE WHO and LED ZEPPELIN that ended with members of Wings, as well as members of Paul, Elton John and other luxurious members gathered together and the big event seen rarely in the history of lock playing the song for this day was done. Among them, this work is a memorable title which summarizes the state of the last day 29, not only the full stage of Wings but also the locustist that the luxurious member participated, as well as related images as well as images of Wings of 1979 . First of all it is a CD part. Beginning with “GOT TO GET YOU INTO MY LIFE” which completely collects the stage of Wings of the day decorating the end of the 70’s pushing the end of the year on December 29, 1979, the latest album “BACK TO THE EGG” of that time From now it will not be played “GETTING CLOSER” and “OLD SIAM SIR” a wide selection of hard numbers such as. No doubt it seems that Paul also dreams that Wings will follow the path of spontaneous annihilation from here and is enjoying the performance in the band that he would have been going for the future forever. 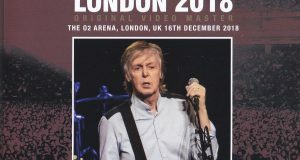 With the appearance of “LAST FLIGHT”, the recognition of this tour has gone up at a stretch, and the set list is widely penetrated, but if we review it again, the instrument number like “HOT AS SUN”, the stage was not played on the stage when releasing the album Many minor songs such as “NO WORDS” and Linda sings “COOK OF THE HOUSE” have been picked up many times, conversely “Billboard No.1” such as “SILLY LOVE SONGS” and “LISTEN TO WHAT THE MAN SAID” I am surprised that it is a really drastic selection that removes hit songs. “MULL OF KINTYRE” also listen to the Bagpipe Orchestra appearing on the stage and superimposing beautiful tones on the band’s performance. Also, on this tour “WONDERFUL CHRISTMAS TIME” was played regularly, but this day has been removed from the set as Christmas has already passed. And what makes this day special is what the locals played in the final stage of the concert. 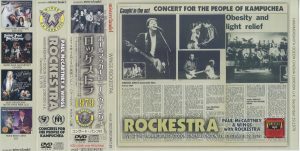 A locusta is a coined word that combines rock and orchestra, as a part of its letter, a member of each person’s name narrows and ends the stage, and the song “ROCKESTRA” made for this is started (for live performances twice for recording ), Probably everyone’s performance of Little Richard’s “LUCILLE” which will be the origin of everyone. As the name of the project is overwhelming those who listen on the wall of a very thick sound. The bonus track includes ‘MULL OF KINTYRE’ which was performed at the Studio Live on TV on December 10, 1977. The same song that produced the single sales record at the time by surpassing the Beatles’ SHE LOVES YOU is showing off at the stage even in the city where the Bagpipe band can procure. Notice also that the live here is an original member at the time of recording of Paul, Linda, Denny Rain. Then it is a picture. This work covers two DVDs, not only the related images but also the images of Wings of 1979, which is a valuable record called Okay if it is this. First of all, Disk 1 records three broadcasts of Japan, the United States and the UK which delicately differs the broadcast of this locustra. The image quality is good and bad, it is clear but coarse, the outline is sweet but the coloring is good, the broadcast quality in each country has its advantage in image quality, here I would like you to actually compare which one is best rather than the best. Rather it is the content that characterizes broadcasting in each country. In the United States, “NIGHT FLIGHT” program, 6 songs including the locust was broadcast. However, although the UK version probably seems to be the image of the outflow, there are only a few scenes of “GETTING CLOSER” and “ARROW THROUGH ME” that are not yet recorded in other countries’ broadcasting. Unexpectedly, unexplored it is impossible to imagine that there is a complete recorded version in the video, but unfortunately we can not see any more pictures at the moment. And it is lovely that Japanese subtitles are attached in Japanese broadcast version. In this way, we have recorded all three versions of each feature. The second half of DVD disc 1 is a live image of “GOOD NIGHT TONIGHT” broadcasted in Sweden. Although the recording location is not specified, it seems to be a live show on Liverpool the first day from the video. And the picture of Buddy Holly Week on September 14, 1979. It is an annual event held annually and recently it seems that the scale tends to shrink, but this year has been held with a huge number of guests inviting. This Buddy Holly Week has two versions recorded, with only three songs at the beginning but a good image quality version, and the second is a complete collection of “IT’S SO EASY” Paul sings though the image quality is poor It has become a longer recording such as. 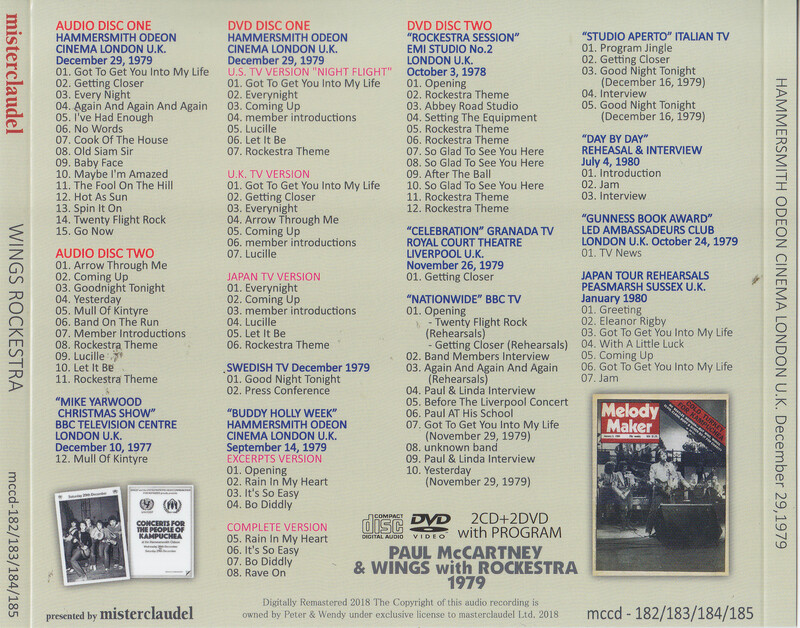 Disc 2 of the DVD begins with a documentary on the Rokestra session held at Abbey Road Studio on October 3, 1978. Paul is the historical session of the role as a collector, as a lot of musicians are gathered in the studio to record on “BACK TO THE EGG” which was recording at the end of the following year and was recording. Overlooking the studio you can now see the dead John Bonham and other figures. Bonzo, also known for its brilliant nature, is funny here waiting for instructions very much before his seniors. The songs are two songs “ROCKESTRA THEME” and “SO GLAD TO SEE YOU HERE”, and it is very easy to understand that the piano, the orchestra, the guitar, the drum, etc. each work together to complete a song It is a documentary. It seems that Paul of a bitter experiences with the movie “LET IT BE” often acknowledged that the state of such recording, and also the session that the individual member gathers in one place is filmed. Subsequently recorded is a program called “CELEBRATION” by Granada TV. You can see the interview of the Liverpool performances that invited students from the alma mater and live images of a slightly valuable “GETTING CLOSER”. Likewise, in the program called “NATIONWIDE” of BBC, you can see the rehearsal scenery of “TWENTY FLIGHT ROCK”, “GETTING CLOSER”, “AGAIN AND AGAIN AND AGAIN” in addition to the live image of “YESTERDAY”. In the second half, live images of ‘GOOD NIGHT TONIGHT’ are recorded along with interviews from Glasgow performance (the day before LAST FLIGHT) on December 16, 1979, covered by an Italian television station. The final is a rehearsal for the famous Japanese performance. Although it is well-known that it ceased as a result, in anticipation of the 1980s, to make a new stage, let us foresee that the set list would have been greatly altered despite being shortly after the UK tour, ” ELEANOR RIGBY “and” WITH A LITTLE LUCK “rehearsal scenes. It will be arrested in Japan shortly afterwards, but if it had been realized, “WITH A LITTLE LUCK” that has never been played on stage has never been played in Japan and it is very disappointing . 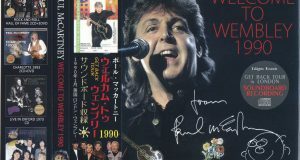 After this concert in 1979, because Paul’s arrest in Japan, Wings will be broken up, the Cambodian refugee relief concert contained in this work is effectively the last stage of Ulugs. When thinking that the last shine was such a flash that shines greatly, the arrest at the beginning of 1980 and the death of John at the end of the year that largely restrained Paul’s subsequent activities changed a very large history There is no doubt. After this it will take ten years for Paul to get back to the stage in earnest. This work will be a historical work that recorded the last stage of Wings unanimously. 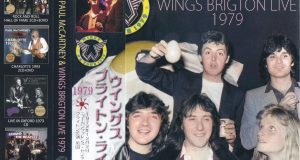 It is a monument that recorded this historical event from both sound sources and images, the culmination of 1979 Wings, including the relevant images, exactly the “last flight”. 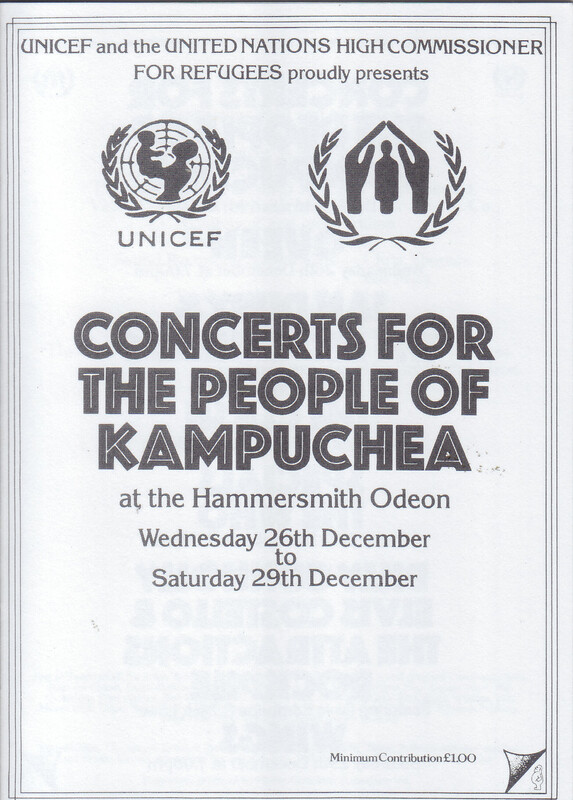 A brochure · replica of the Cambodian Refugee Relief Concert is included in all sets. Since it is a common pamphlet for 4 days, introduction of cast members of the whole day is made with photos. Since the event is a truly crisp event, the actual pamphlets are very rare, and there are not many people who saw the actual things until now. Even though it is an auction, it is priced with a high price, but it is still valuable that it is rarely put out for sale. Permanent preservation of a beautiful picture / disk specification A tightly pressed press.